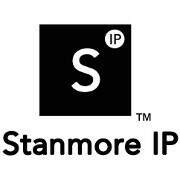 When I started Stanmore IP in January 2015 my youngest daughter wasn’t even a year old. It seems impossible to believe that today she started Primary School for the first time. As a parent, I’m going to find this hard to adjust to. But I am looking for the positives in the new chapter for our family and this includes having a few more hours each week to focus on the business. So, from Monday 10th September my regular office hours will be Monday – Thursday 9am – 3pm. Lots of my clients are fellow parents, often juggling the children alongside their own business, or their role within a business. These new hours should hopefully provide more opportunity to contact each other and maybe even meet up for a much-needed coffee. If you need assistance with your trade mark matters, please feel free to get in touch. I’d love to hear from you. This entry was posted in Uncategorised on 5th September 2018 by Stanners.